The number of connected devices is skyrocketing and “mobile” evolves into ever more diverse form factors. As more and more “things” are connected, it is becoming clear that for enterprises, a physical connection is just the beginning. In order to derive tangible business value, a new generation of software applications and services have to be created and adopted by businesses. One essential ingredient for IoT to succeed with enterprises is the ubiquity and use of APIs – application programming interfaces – which allows developers to compose applications and use cases that can seamlessly communicate across systems, assemble best-in-class capabilities and create unprecedented experiences for customers and employees alike. The “Internet of APIs” is rapidly becoming the fabric that powers the most significant IoT use cases for enterprises. Mr. Patel, drawing on his own experience in creating Built.io’s award-winning IoT application and integration platform, will introduce the key concepts behind the Internet of APIs, the technology standards that are emerging to govern this space, as well as the first use cases that represent low-hanging fruit for businesses. Mr. Patel will discuss in detail the architecture and requirements of a platform that can unify web, mobile and IoT channels. 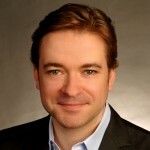 He will share his insights into overcoming integration challenges and how to succeed with an API-first architecture. Mr. Patel will share real-life customer and partner implementations, evaluating the impact that the Internet of APIs is already having on many industries, from Connected Sports Arenas, to Connected Cities. He will answer questions as fundamental as “How do I build a successful application for the Internet of Things?” all the way to expansive, open-ended questions such as “How do I derive value for my business through IoT?”. Mr. Patel will illustrate the necessary evolution of technology platforms into providing essential services for IoT and present attendees with his cheat sheet for choosing technologies, partners and vendors on their way to embracing IoT. Nishant Patel is CTO of Built.io. 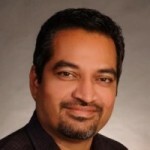 Nishant brings 15 years of experience solving complex technology and cloud integration problems for large enterprises. Prior to founding Built.io, Nishant was a Senior Architect at TIBCO Software. Nishant holds a B.S. in Computer Science from The Ohio State University. Nishant is a member of the Board of Advisors to the City of San Francisco’s Connected City initiative, advising the city as it explores IoT use cases and defining the next generation of enabling technologies. Matthew Baier, Chief Operating Officer at Built.io. Matthew Baier is COO of Built.io. Matthew led product marketing for Oracle’s Database product portfolio, Salesforce’s Force.com and Mobile platforms, as well as several of Sun Microsystems’s most prominent brands. Matthew has over 15 years of experience growing a wide range of software products across geographies, with international postings to the UK and Germany. He co-founded KurbKarma, a TechCrunch Disrupt 2012 Startup Battlefield Finalist. Matthew holds an M.A. in Astrophysics from the University of Cambridge.